Try the hot chocolate and homemade marshmallows at Blume in Rockport Massachusetts! Step through the cheery pink door of Blume Coffee (“Flour Shop”) aside Mayflour Cakes & Confections at Whistlestop mall in Rockport Friday through Sunday for specialty coffees, teas, and hot chocolate (with to die for marshmallows), and not to miss Mayflour Confections daily bake treats. Cape Ann has so many great scone options with its stellar bakeries–there could be a scone trail! The Cape Ann Museum has a wonderful children’s activity room, perfect for a winter day when its too cold to go to the park. Come on by and enjoy! Caffe Sicilia is super family friendly, too, with friendly faces, yummy treats, and spacious seating. Charlotte had her first bites of cannoli, and of course, she loved it! Who’s the handsome opera singer that electrified the West End Gloucester Block Party? Giovanni Formisano! “A native of Torre del Greco (Naples) Italy, Tenor Giovanni Formisano, began his vocal studies in the United States. After joining the Opera Workshop at the Longy School of music in Cambridge Massachusetts, Mr. Formisano participated in various Opera programs such as the “Key West Summer Opera program” under the direction of Soprano Donna Role, the “Richard Crittenden Opera workshop” and the “New York Summer Opera Scenes” under the direction of Metropolitan Opera Conductor Joshua Greene. Mr. Formisano quickly gained recognition for his Italianate, legato and full lyric sound and was featured in roles such as Rodolfo in G.Puccini’s “La Boheme”, Alfredo in G. Verdi’s “la Traviata” , Ruggero in G.Puccini’s “La Rondine” and Cavaradossi in G. Puccini’s “Tosca”. CAFFE SICILIA IS HUMMING FILLING YOUR SPECIAL ORDERS FOR SAINT JOSEPH’S DAY! 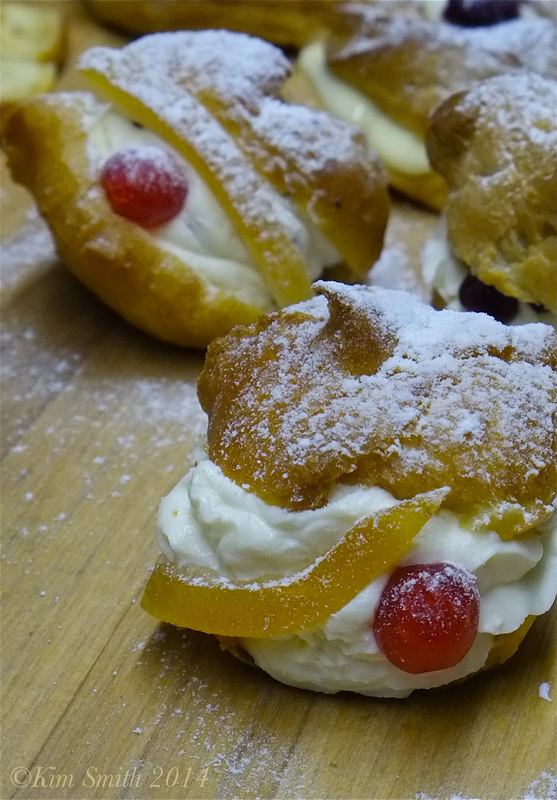 As Saint Joseph Day is just around the corner (March 19th), mother and daughter Nina and Maria are creating beautiful and wonderfully delicious treats for the feast day–the special San Giuseppe altar bread, cassata cakes, sfinci, zeppole, and much, much more. It is not too late to place your order! Call Maria at 978-283-7345 today. 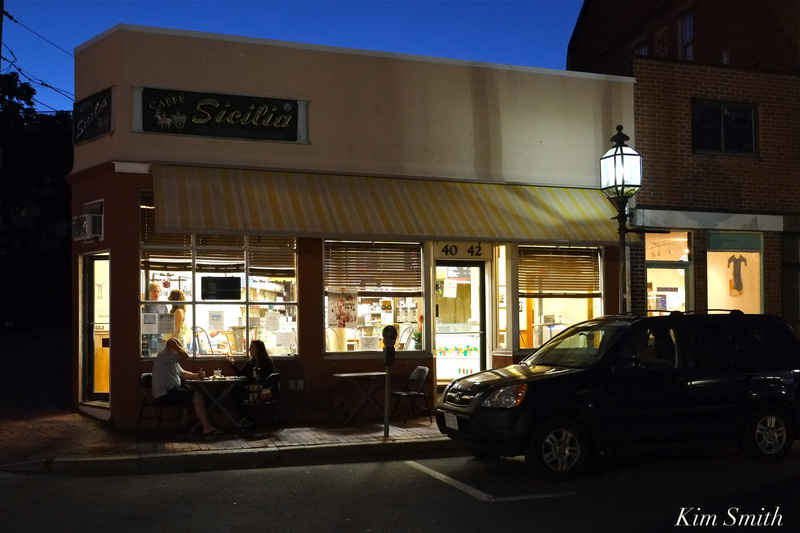 Caffe Sicilia is located at 40 Main Street. 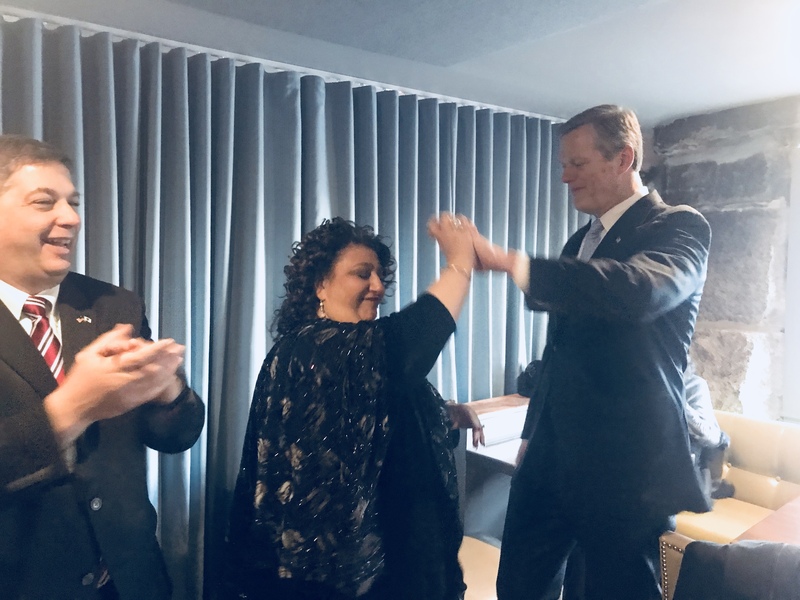 Mayor Sefatia’s inaugural celebration, held at Tonno Restaurant, was attended by a gathering of friends and supporters, including Massachusetts’s beloved Governor Charlie Baker and State Senator Bruce Tarr. 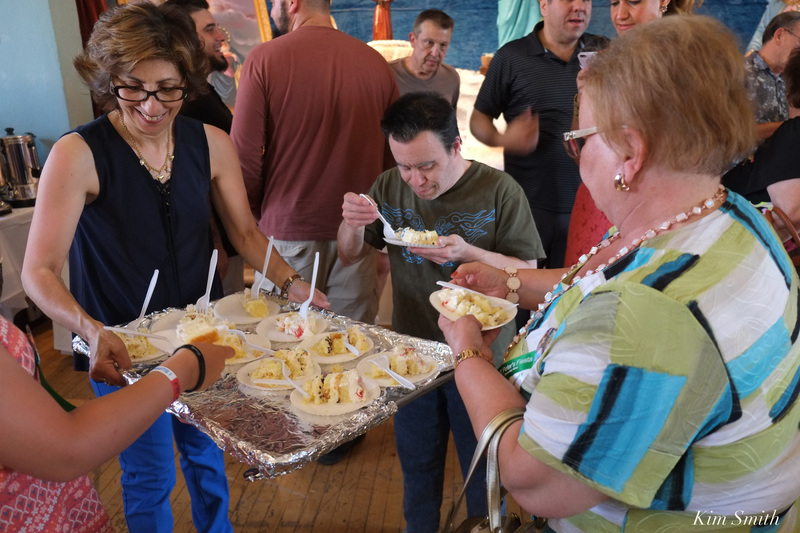 Guests enjoyed the beautiful spread prepared by Chef Anthony Caturano, with wonderfully delicious desserts from Caffe Sicilia, and everyone wanted to have a photo taken with Governor Baker, which he kindly obliged. Mayor Sefatia spoke about her early days working on health care with Governor Baker and of his great compassion. 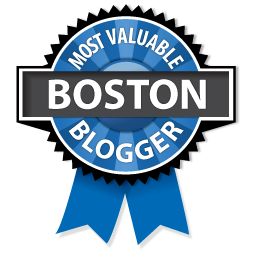 See the Instagram videos for more from the Mayor and Governor Baker. Despite the wonderfully fun and boisterous Fiesta crowd on Rogers Street, Main Street was quiet and peaceful. Tom and I went to dinner at Passports and it was a cinch to park. We had a lovely dinner and then walked to the carnival. No need to “escape” to other towns during Fiesta. Please support your local Main Street restaurants and businesses during Fiesta week. Maria Cracchiolo outdid herself in providing not one, but two, fabulous cakes for the ninth night of the Saint Peter’s Fiesta novena. The smiles of anticipation and delicious enjoyment on everyone’s faces said it all! Don’t miss the Alice Gardner art exhibition at The Bookstore of Gloucester | dozens of Fiesta books already sold! A solo exhibition featuring the original illustrations (gouache, pen&ink, some acrylic) for her NEW children’s picture book published ©2017 the 90th Anniversary of Gloucester’s St. Peter’s Fiesta! Exhibition dates: June 3, 2017 – Fiesta and beyond! She did. Alice Gardner maintains a studio in downtown Gloucester, next to the Cape Ann Museum. 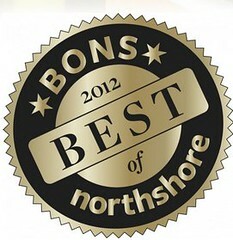 She has lived on the North Shore for more than 40 years. St. Peter’s Fiesta is a subject Gardner has photographed, chronicled and painted for over a decade. Gardner says that multiple programs and contacts stemming from the Cape Ann Reads initiative and the Society of Children’s Book Writers and Illustrators were critical in getting this new book into production. “Just do it!” was a motivating topic from a Steven Pressfield talk sponsored by the latter. She did. She created an entire new body of some of the Fiesta moments that have touched her most, alive with color and completed in time to coincide with the 2017 90th year Anniversary. Gardner was also inspired by Anita Silvey’s Cape Ann Reads presentations. She said Silvey mentioned “calling all these celebrities for “Everything I need to Know I learned From A Children’s Book.” It made me think that. Why don’t I just call? I wanted to talk to the Mayor. 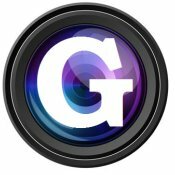 I wanted to talk to many people…This is a Gloucester story. They all grew up with Fiesta. I did not. They became part of creating the book…” Gardner’s generous acknowledgement narrative is given great attention in the design. The new paintings on exhibit are not for sale, but you can see a small selection of Gardner’s joyous responses to the spirit of Fiesta in larger, earlier works at The Book Store; or call ahead and visit her studio. “I am inspired by public events that make people happy, they’re doing things where there’s a unique sense of place and culture.” Gardner painted a series inspired by Boston icons– like the Boston Common swan boats– for Massachusetts General Hospital’s Illuminations. She’s also captured the seasonal charm of Manchester by the Sea at Fourth of July. HAPPY EASTER FROM CAFFE SICILIA! I love stopping in to visit Maria and Nina at Caffe Sicilia anytime of the year, but especially during the holidays. 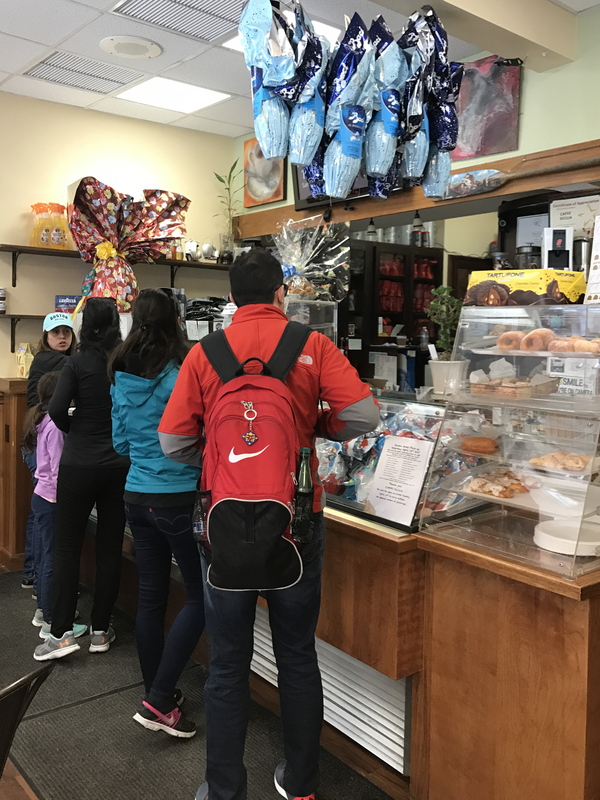 The bakery was humming today, with their regular customers as well as regional and international travelers, and their refrigerator brimming over with special Easter orders. 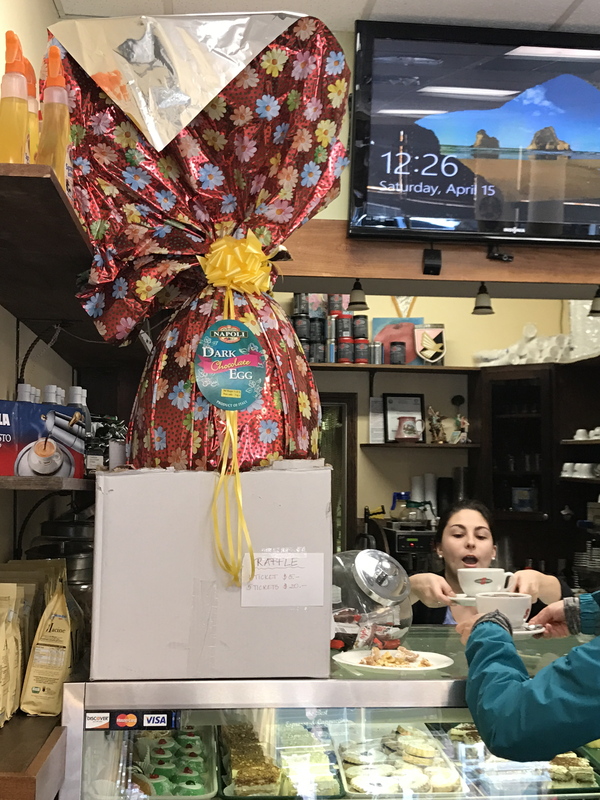 Folks are still purchasing raffle tickets for Caffe Sicilia’s giant chocolate egg to benefit children with autism. What a gorgeous day for shopping downtown Gloucester. Happy Easter and Happy Spring! HELLO! YOU CAN WIN THIS GINORMOUS EASTER EGG! The Bragas’s highly anticipated second stand alone restaurant, the new Italiano Restaurant and Bar, will be opening at 64 Main Street well before people flock to our coast this summer. The former space of La Trattoria is being transformed by RS Construction which also built the Dunkin Donuts in Magnolia and the Azorean’s gorgeous bar expansion and function addition. The new restaurant has been under major construction for months because the build out is much more than a revamp. The small kitchen is GONE. The entire former function space in the back is a brand spanking new kitchen. 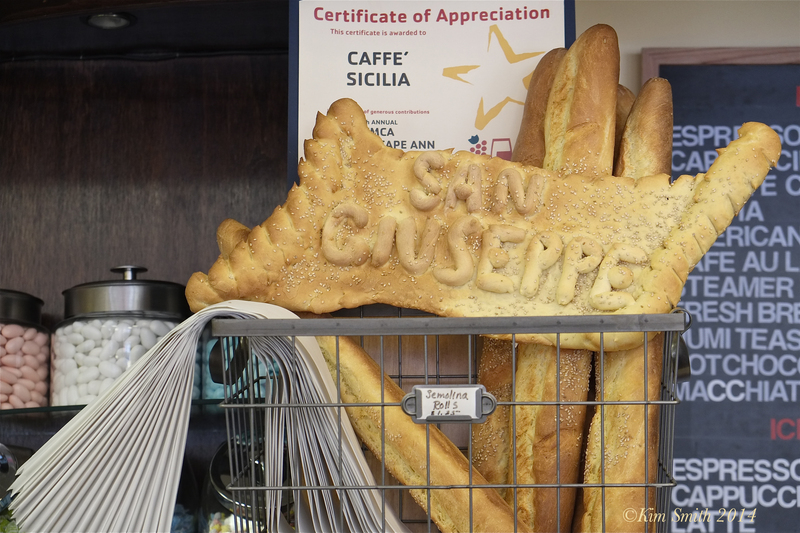 In a city of incredibly good eats how do you make yours stand out? An excellent reputation helps: the Bragas opened Azorean in 2007 which quickly established a legion of loyal customers with its unique and exceptional cuisine. 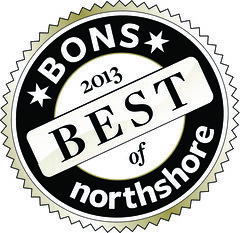 Besides quality, hard work and experience how about that awesome historic West End location. Italiano Restaurant joins a tipping point where Gloucester’s West End meets Boston’s North End. Italy Magazine I propose your next article in the series, Where to find Italy in America?- Gloucester’s West End! Come visit! ORDER YOUR SPECIAL SAINT JOSEPH ALTAR BREAD, ROLLS, AND SWEET TREATS TODAY! 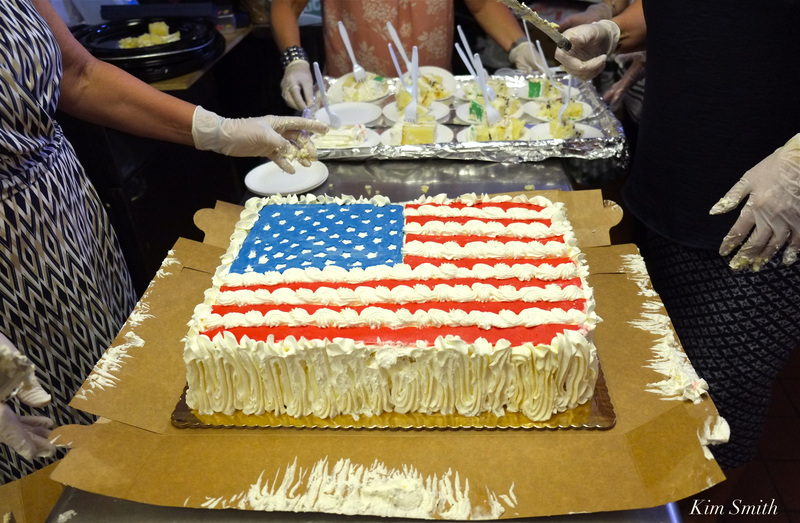 Preparations for St. Joseph celebrations are well underway throughout the City and our local bakers are baking up a storm. 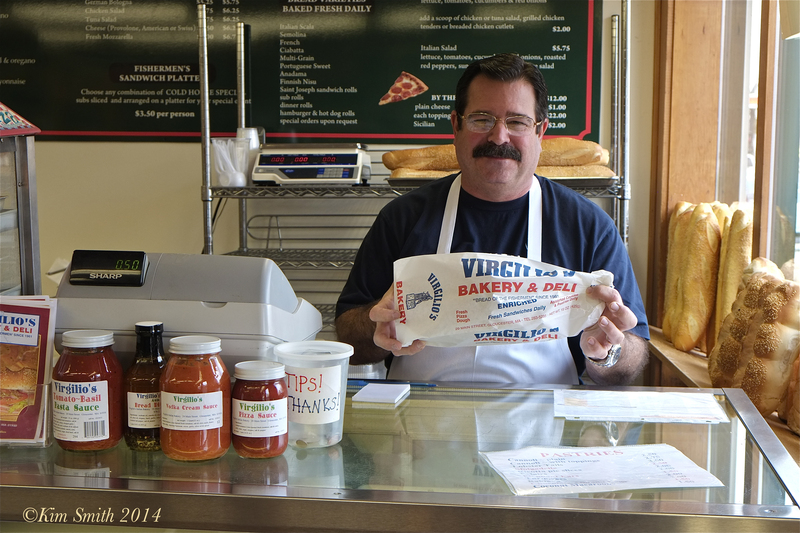 Saint Joseph rolls are available from Virgilios at 978-283-5395. Thanks to the Holiday Delights Youth Acting Program at Gloucester Stage, I had the lucky chance to spend some time with artist Carol Kriekis. I thought her home and studio were a perfect reflection of her warmth and style, elegant and layered like an Aesthetic Movement interior. Kriekis works in different media, mostly grounded in representation. I saw series inspired by nature and renderings of flowers. 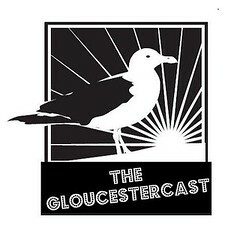 Recently she’s transformed her classic ‘Glosta’ and other Gloucester designs into oval stickers, each with some hand flourish. The potential for art everywhere around us — stickers, hand painted– that had me thinking about aestheticism, too. Photograph below shows some new branding design by Carol. There’s something coming this spring for Caffe Sicilia…No reveals, yet. This past week I stopped by to say hello to Maria and her family at Caffe Sicila. Nina, Maria’s Mom, invited me to come and see she and her sister Grace making pignulata. 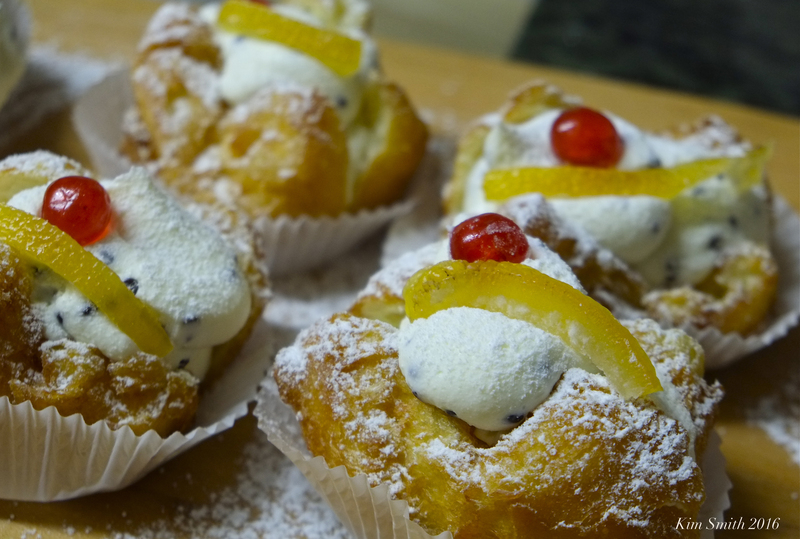 Caffe Sicilia has dozens and dozens of orders for this wonderful traditional fried pastry desert and they had already begun the first stages several days ago. Nina explains it is most typically served in Sicilian homes around Christmas time, but also other holidays too. Making this treat is a multi-step process, and labor intensive in the volume undertaken by Caffe Sicilia. The sisters offered lots of tips for making the most delicious pignulata (also spelled pignolata) and I hope I am remembering all that they shared! The dough is rolled out, cut into marble-sized bits, and placed in cold oil. The bits of dough are throughly drained and set aside for several days as they release more oil. 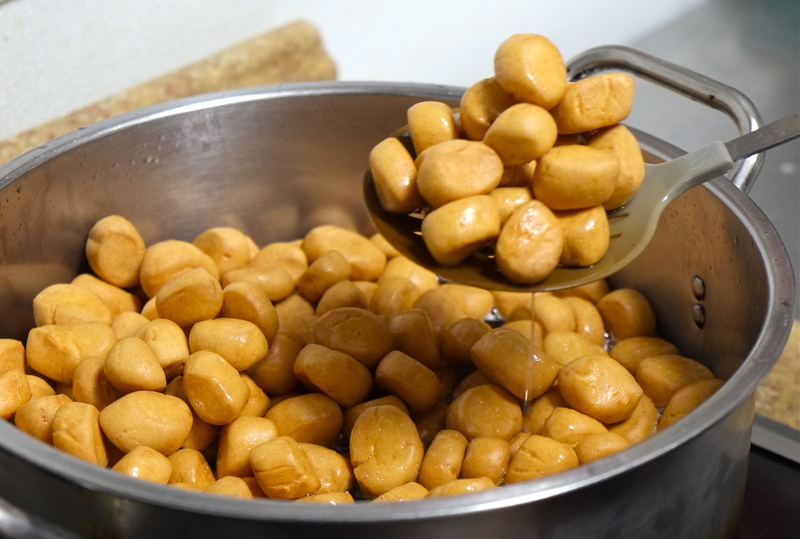 When ready to mold the pignulata, a glaze made of boiled honey and sugar is poured over the fried dough. 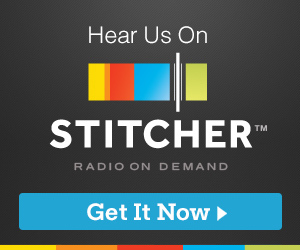 Nina and Grace grew up in Terrasini, Sicily, emigrating from Italy when they were young teens. The sisters talked about how back in their childhood days, most people did not have a kitchen oven. To bake their weekly bread and to bake treats during the holidays, families would take their loaves and cookies and cakes to the local town baker and “rent” their oven for a nominal fee. Cookies and cakes were placed on long, long wooden trays and carefully placed in the baker’s oven. Now everyone has their own oven, but most don’t bake nearly as much as they did in the old days. 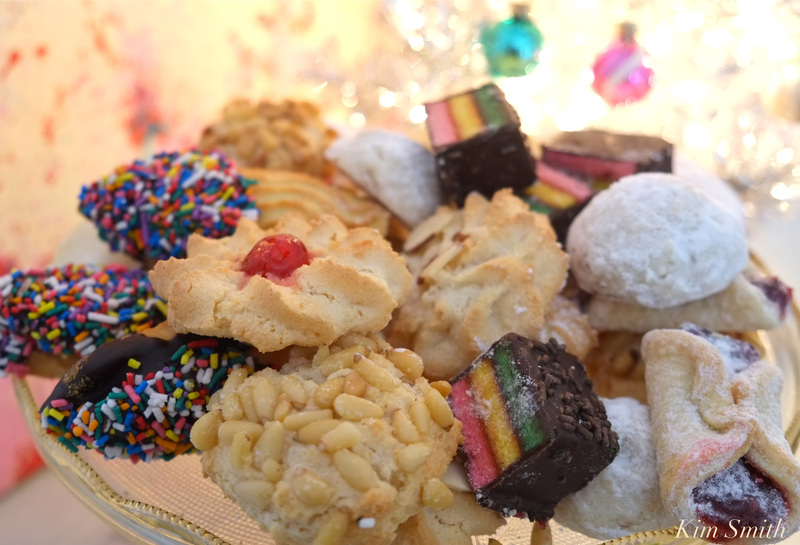 Visit Caffe Sicilia and see their beautiful display of cuccidati (and every other kind of traditional Sicilian Christmas cookie), wonderfully sweet and spicy gingerbread cakes, cassata cakes, mini pignulata’s, Maria’s handmade marzipan fruits, and much, much more deliciousness! 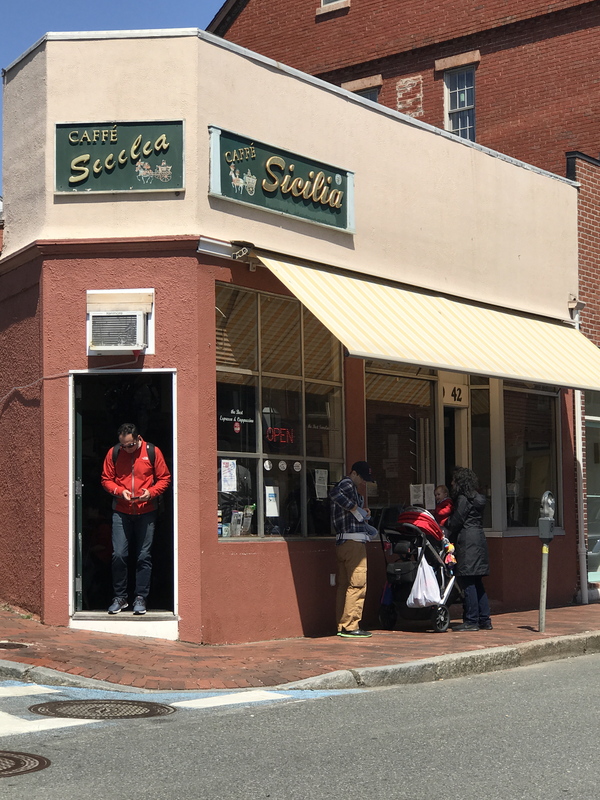 Caffe Sicilia is located at 40 Main Street. 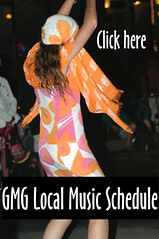 For more information call 978-283-7345.